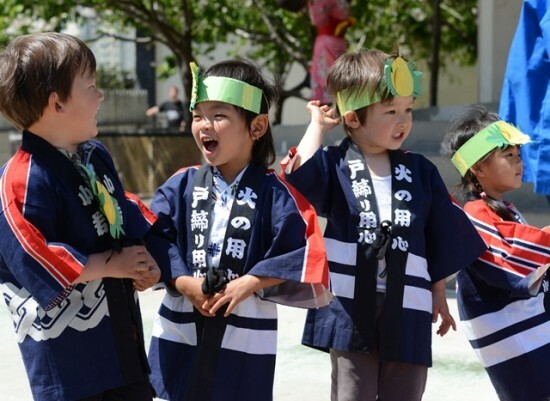 SAN FRANCISCO — In recognition of Japan’s national holiday to celebrate children, the Japanese Cultural and Community Center of Northern California presents its annual Children’s Day Festival (Kodomo no Hi) in San Francisco Japantown’s Peace Plaza, Post and Buchanan streets, on Saturday, May 3, from 11 a.m. to 4 p.m. There will be entertainment, food and hands-on craft activities for children. Free and open to the public; additional fee for food. The 2014 Children’s Day Festival is made possible with support from The Henri and Tomoye Takahashi Charitable Foundation, The Hatsuro and Amey Aizawa Family Charitable Trust, Japan Airlines, Comcast, Union Bank, Consulate General of Japan in San Francisco, Kristi Yamaguchi’s Always Dream Foundation, Japanese Community Youth Council (JCYC), Japan Center Malls, and Capcom.